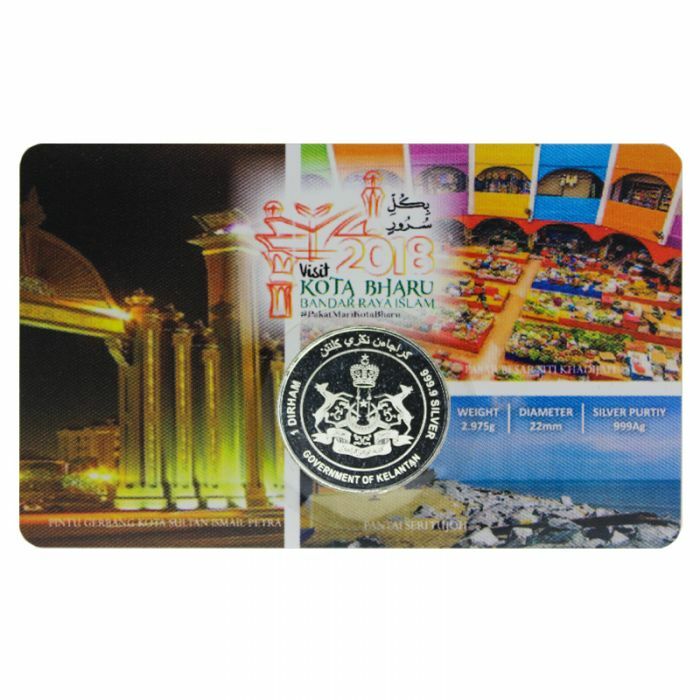 KGT 1 Dirham Kota Bharu 2018 999.9 Silver Coin is sold as a gift on a card specially made to commemorate the year 2018 as The Year To Visit Kota Bharu, the Islamic City of Kelantan. Introducing the Perth Mint Great Hammerhead Shark (2015) Silver Proof 1/2 oz 999 coin. This highly popular series from Perth Mint feature designs that will delight and captivate. 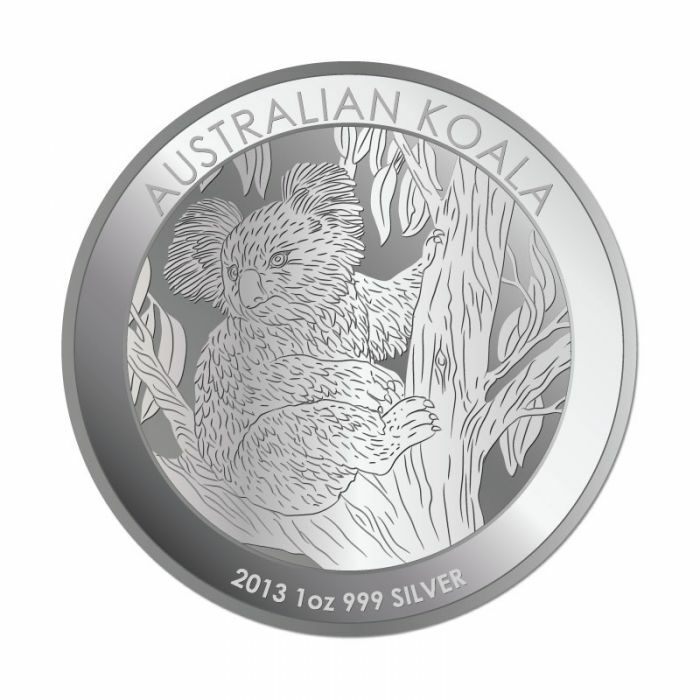 The Perth Mint has once again produced a coin enjoyed by all. 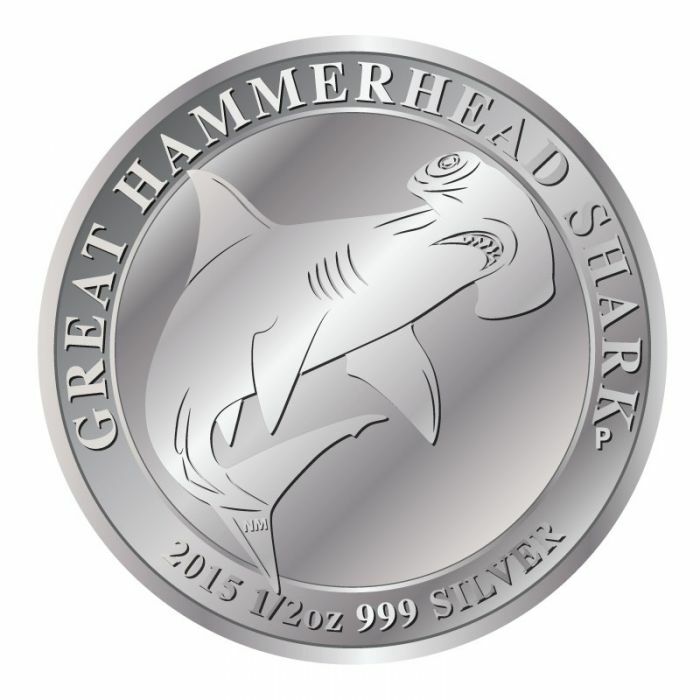 Add the 2015 1/2 oz Silver Great Hammerhead Shark to your cart today! An ideal solution for gifting, investment or even collecting. Weight – 1/2 oz Design (Obverse): The Ian Rank-Broadley likeness of Her Majesty Queen Elizabeth II and the monetary denomination. Design (Reverse): Features a great hammerhead shark, surrounded by the name, weight and purity, along with the Perth Mint's "P" mintmark. Paying a tribute to the original Buffalo Nickel designed by James Earle Fraser, this American Buffalo coin is made from 1 oz. 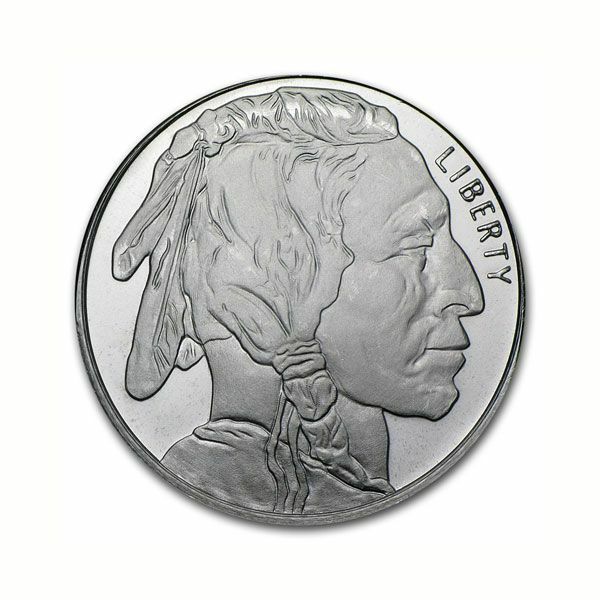 of 999.0 fine silver coin.The obverse side of the coin features a Native American with the motto “Liberty” minted on top right, while the reverse side of the coin showcases the classic buffalo design modeled after Black Diamond, a 1,550 pound bison atop a mound of dirt. 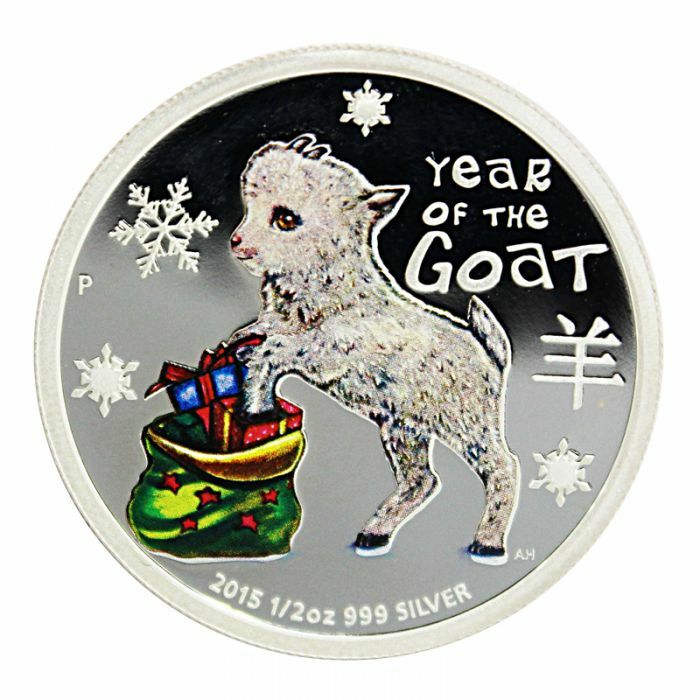 This American Mint's highly popular series of Buffalo coin is an ideal way of buying silver as gift giving, investment or even to be kept as collectibles. It is available at the lowest premium over its intrinsic metal value; smaller coins tend to cost more. This 1 oz. 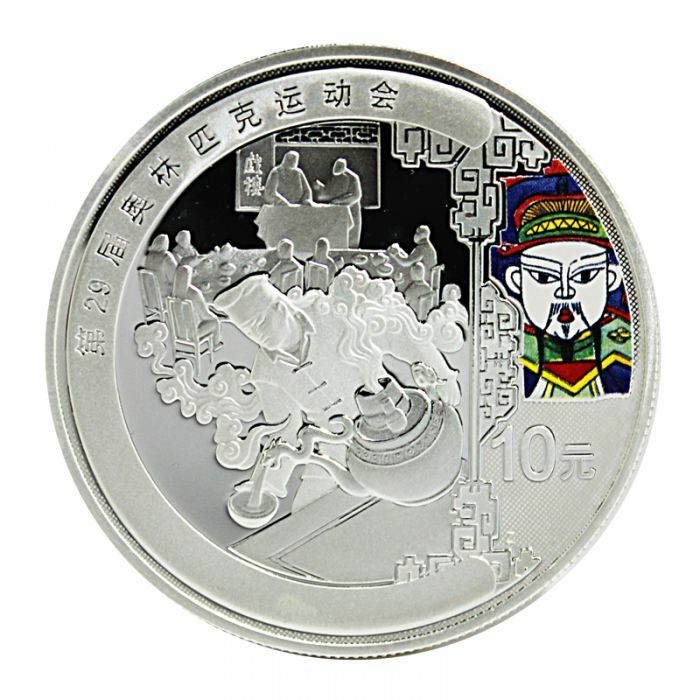 of 999.0 fine silver coin is ideal for first-time buyers and collectors. 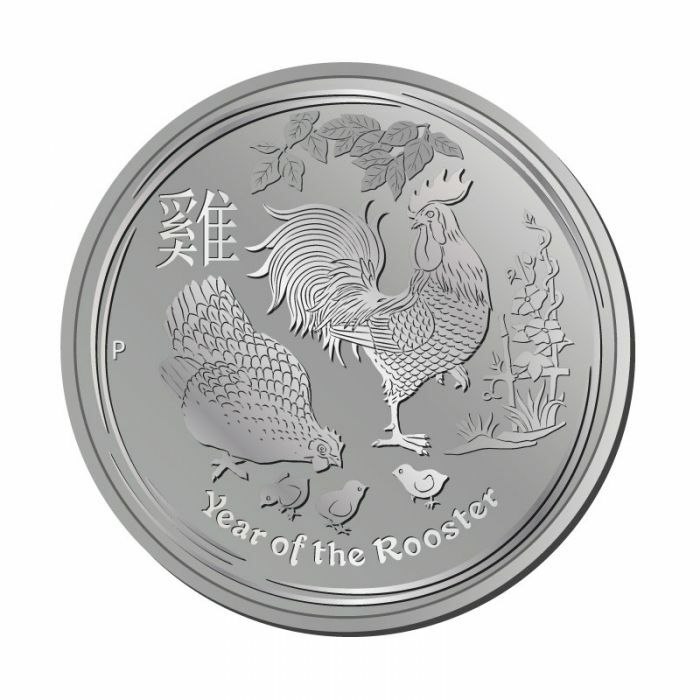 This stunning 1oz silver coin from Perth Mint's Australian Lunar series will make a cherished keepsake to those born in the year of the Rooster, or as a fine addition to any coin collection. The American Mint is cherished by collectors and investors the world over for their long-standing craftsmanship and their status as the sole manufacturer of legal tender coinage in America. 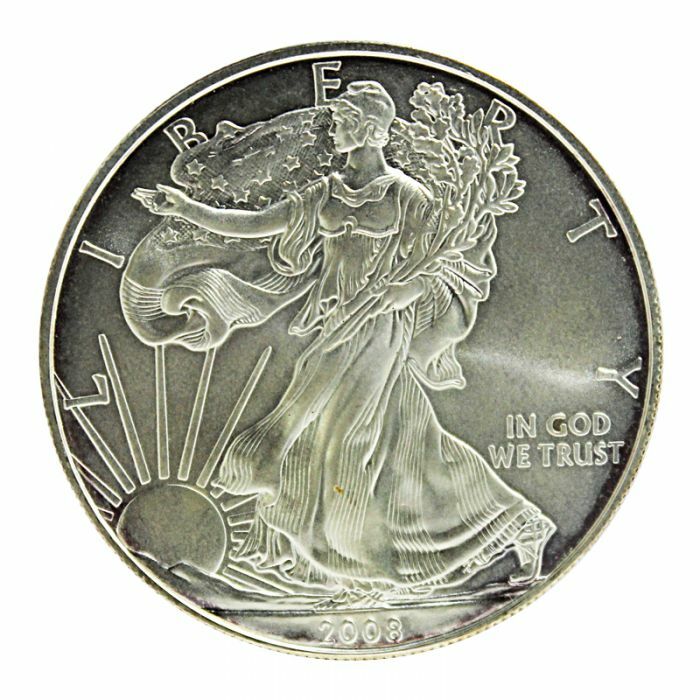 This 2008 American Silver Eagle coin is made from 1 oz. of 999.0 pure silver coin.The obverse side of the bar features the Walking Liberty design created by Adolph A. Weinman., while the reverse side of the bar showcases an American eagle, the symbolic of US national pride. This American Mint's highly popular series of SIlver Eagle coin is an ideal way of buying silver as gift giving, investment or even to be kept as collectibles. It is available at the lowest premium over its intrinsic metal value; smaller bars tend to cost more.